I’ll openly admit I don’t know that much about bluegrass music, other than the fact there’s more emphasis on the banjo than other kinds of folk music. And my experience hearing the genre is limited to going to places trying to replicate an authentic Americana theme. 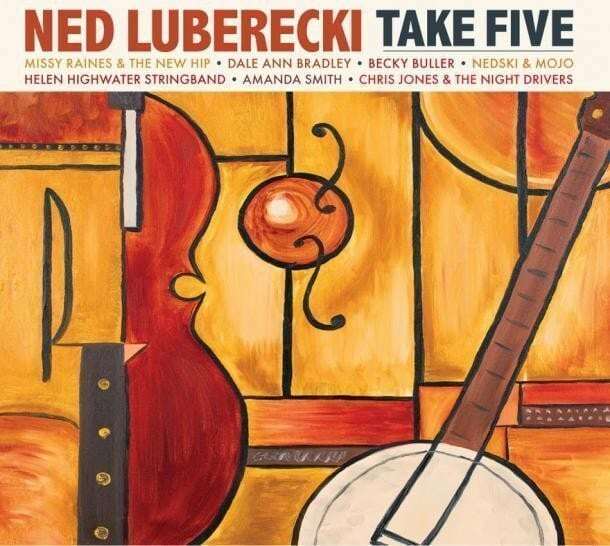 So given the chance to review a bluegrass album, especially from someone considered one of the modern masters, Ned Luberecki is as close as a superstar the bluegrass scene currently has right now. Along with playing for an extensive number of bands, like Becky Buller Band, Chris Jones and the Night Drivers, the Rarely Herd, Paul Adkins and the Borderline Band, and the duo Nedski & Mojo, he also hosts two shows on the SiriusXM Bluegrass Junction channel, Derailed and More Banjo Sunday. But if there’s anything I got out of listening to his newest album Take Five, it’s that bluegrass isn’t limited to just songs about living in Appalachia and you can actually have a sense of humor playing it. Even the album art itself leads me to believe Luberceki is in on whatever joke he’s playing. 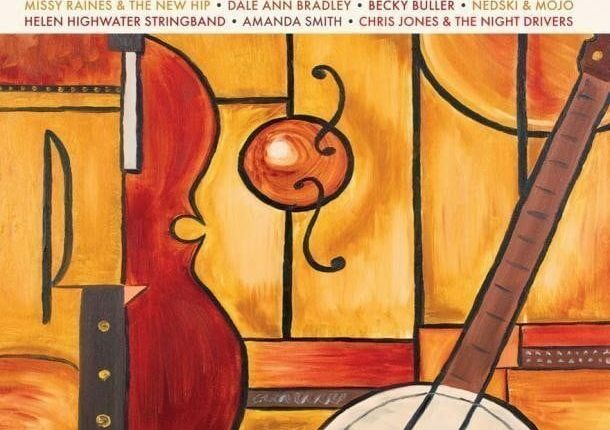 It’s very much the same 50’s modern style Dave Brubeck’s Time Out album cover is based on, but with an upright bass and banjo painted in the image. Not something you’d expect to see when preparing to listen to folk music, but I suppose trying to invigorate something new into a genre is good. The first half of the album contains all the bluegrass you’d expect, and about topics people with a limited knowledge of the genre like myself can predict would appear. “Higher Ground,” (not the Stevie Wonder song) featuring Dale Ann Bradley on vocals, is about living in Kentucky, finding what your heart really wants, and proclaiming, “My mountain stands alone.” “We’ll Put out the Fire,” featuring Amanda Smith, is about finding the perfect man and “Fiddlin’ Dan,” is about a fiddle player who has the skills to charm even the fiercest of woodland creatures. 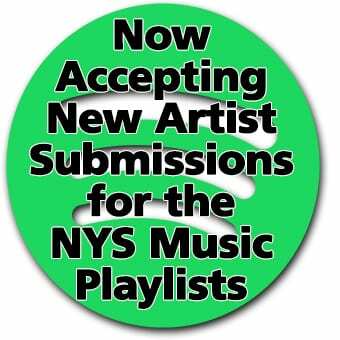 Along with the other instrumentals placed in there, most notably “Adams County Breakdown,” “Night Rider,” and “B-Flat Medley,” Luberecki has plenty of room to show off his quick plucking and interplay with the violin in the background, creating a proper atmosphere for some country revue action. In the middle of the album, we get around to the part that separates this from typical bluegrass music, jazz covers! There’s the Dave Brubeck class for which this album is named after, the bossa nova standard, “The Girl from Ipanema,” and the Thelonious Monk song, “Blue Monk.” Luberecki’s banjo is still front and center here, but the background is completely different from the standard bluegrass on the rest of the album. There are jazz drums, blues guitar, upright bass, and organ bleeps happening, while the banjo playing is slowed down considerably to draw out every little musical line. Especially on “Blue Monk,” which features prominent blues guitar, Luberecki is certainly confident in his genre blending, with bluegrass, jazz, and easy listening all coming together. The next two songs, more rather medleys, return to the standard bluegrass of so much of the album. “The Kitchen Squirrel medley”, and a medley of two Buck Owens songs, “Before You Go” and “Let the World Keep Turning.” It’s on the Buck Owens medley we finally get to hear male vocals befitting of the Buck Owens country tradition. To top the album off, and going back to his humorous nature, Luberecki plays a cover version of the original Star Trek theme song, complete with the opening “Space, the final frontier,” monologue in a southern drawl, with a hint of William Shatner in there. And so, the album ends with as much as what preceded it. With forceful interplay between banjo and violin. Bluegrass, on it’s own, is a fun genre of folk music to get into, but with the humor and other genre infusions Luberecki brings here, it wouldn’t surprise at all if he made a few more fans along the way.